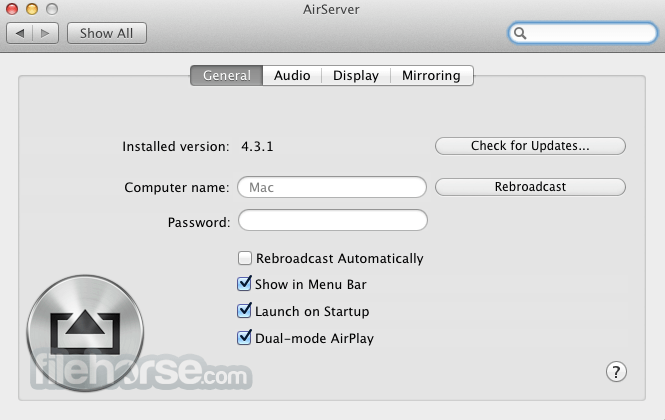 AirServer for Mac is the most advanced screen mirroring software receiver for Mac, PC and Xbox One. It allows you to receive AirPlay, Google Cast and Miracast streams, similar to an Apple TV or a Chromecast device. The world’s first BYOD solution that enables collaboration across different apps across platforms. We achieve this by sending the entire display over AirPlay or Google Cast. For the first time you can exercise the freedom of choice for your devices. 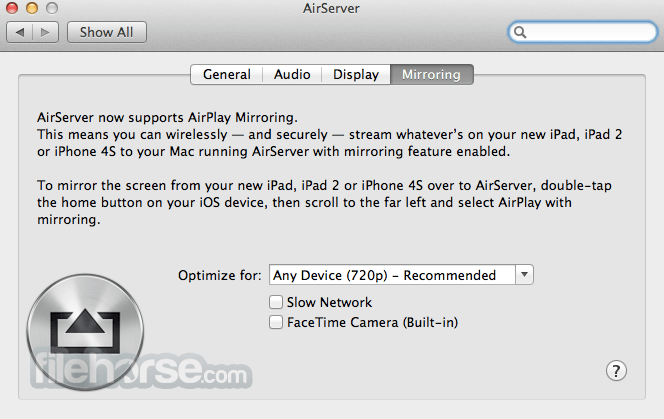 AirServer can provide drastically improved picture quality during mirroring. An iPhone 6 Plus can now mirror at full 1080 x 1920 resolution, which delivers over three times the previous pixel count in portrait mode. AirServer helps you create professional videos of your mirroring sessions in stunning quality. Showcase your iOS apps and games in action or archive your classroom collaboration in the best quality possible. AirServer for Mac builds upon its existing AirPlay receiver functionality, including iOS 10 compatibility, and adds Google Cast receiving capabilities. Works with all Google Cast enabled Android devices. Devices that do not have the cast functionality can enable this by downloading the Google Cast app. Steam live with unique features such as picture-in-picture webcam support, enables iOS gamers to broadcast their gameplay. Teachers can also use this powerful technology to spread their knowledge beyond the classroom. AirServer protects your personal photos and videos as they are transmitted over the network. This important security feature is only offered by AirServer and the Apple TV. AirSerevr for Mac once again supports this feature. Besides Apple TV, AirServer was the first application to provide this feature. Note: 7 days trial version. For individuals on 1 machine.